AMANDA G. CLARK was born in Natchitoches, Louisiana. She received her Bachelor of Arts Degree from Louisiana State University in 1993 and her Juris Doctorate from Louisiana State University in 1996. 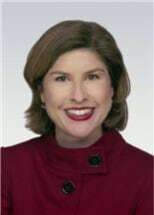 Since then, Ms. Clark has gained extensive experience in employment discrimination, contract disputes, workers’ compensation defense, premises liability, tribal law, civil rights defense litigation, Maritime Law, railroad defense, and appellate procedure. Forrester & Clark represents clients in the city of Baton Rouge and surrounding areas including New Orleans, Lake Charles, Lafayette, Alexandria, Monroe, Shreveport, Houma, Marksville and Covington in South Louisiana.